The inaugural Fall 2009 season of the Miracle League of High Point proudly fielded 42 eager players. Our plans are to further serve the large number of special needs children in our community. To do so, we need your support. Come to a game, watch from the bleachers or volunteer, and become moved by the overwhelming gift this league has become for these players and their families. 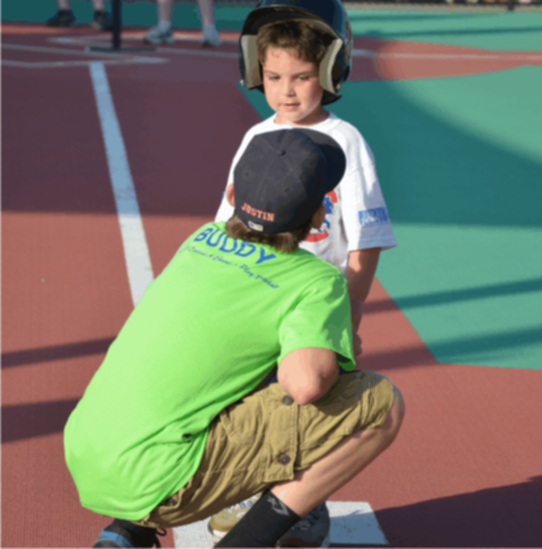 The Miracle League of High Point strives to provide a special place where players can create memories and relationships that might otherwise be impossible. Parents and siblings become an active part of a wonderful community where they find support, become energized, and in turn learn from and support others. "...we've joined the ranks of many sports parents and sat on metal bleachers in the hot sun and cold nights under the bright lights of the most amazing baseball field. We watch our child hit a ball and run around the bases. Our child does not often smile but for an hour and a half every weekend, her smile rivaled the brightness of the lights on the field. She made friends and felt included in something normal that so many kids take for granted but for her, until this league was impossible. My child plays baseball !!!! I never thought I would be able to say that... Thank YOU for making it possible!! Get involved, give of your finances and become a part of an extraordinary miracle that's happening in your own backyard!